Do you ever wonder what it’s like to get dressed and bejeweled for the Haute Couture shows? Yeah, so I do. 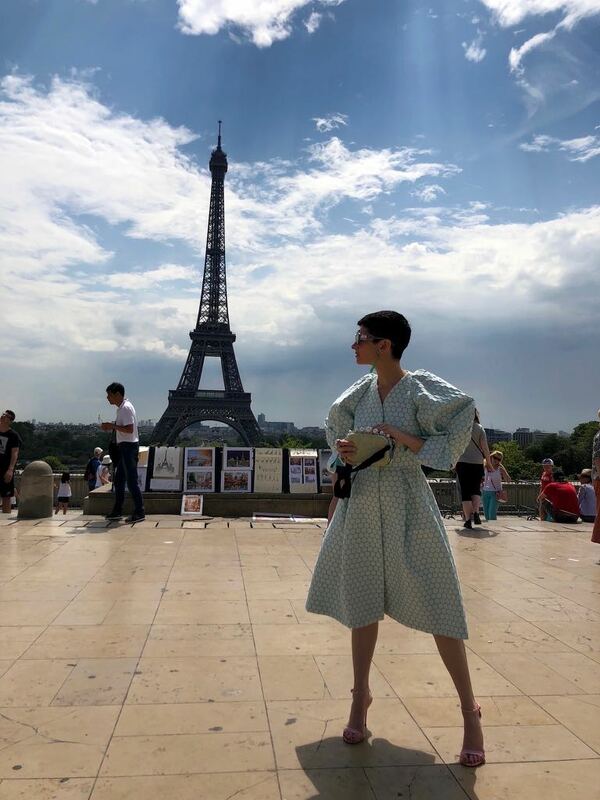 Lauren Kulchinsky Levison graciously agreed to share a behind the scenes look and video diary of her experience during the 2018 Fall Haute Couture presentations. 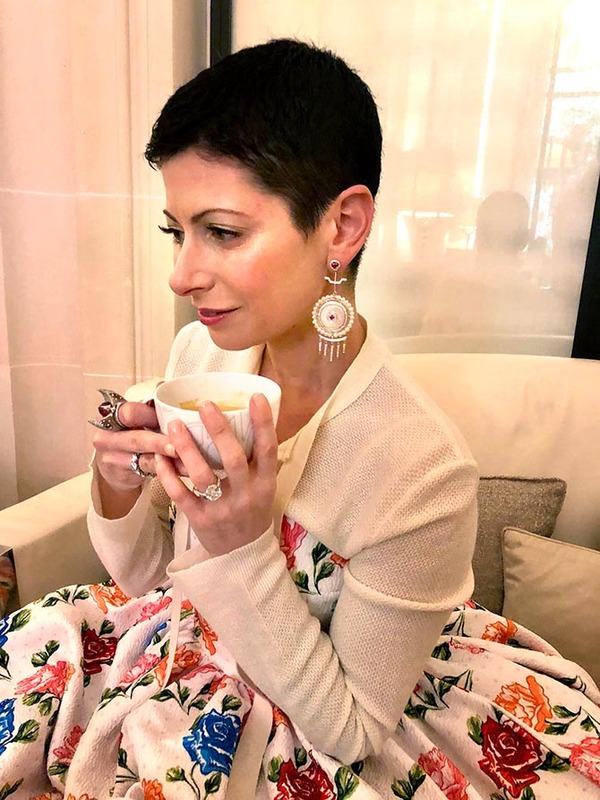 One of jewelry’s own, the Chief Style Officer of Mayfair Rocks in the Hamptons, has become a street style star in the City of Lights. This season she appeared in The New York Times fashion coverage twice, Fashionista, Refinery 29 and all over the internet. The Adventurine is the only publication, however, that has her delightful, insightful and entertaining videos of how the looks were put together. Before the shows began Lauren hosted a party at the Ritz with Moda Operandi for friends. Champagne and macrons were served while the soundtrack to Sofia Coppola’s Marie Antoinette played . Lauren explains the look she put together for the party in this video. 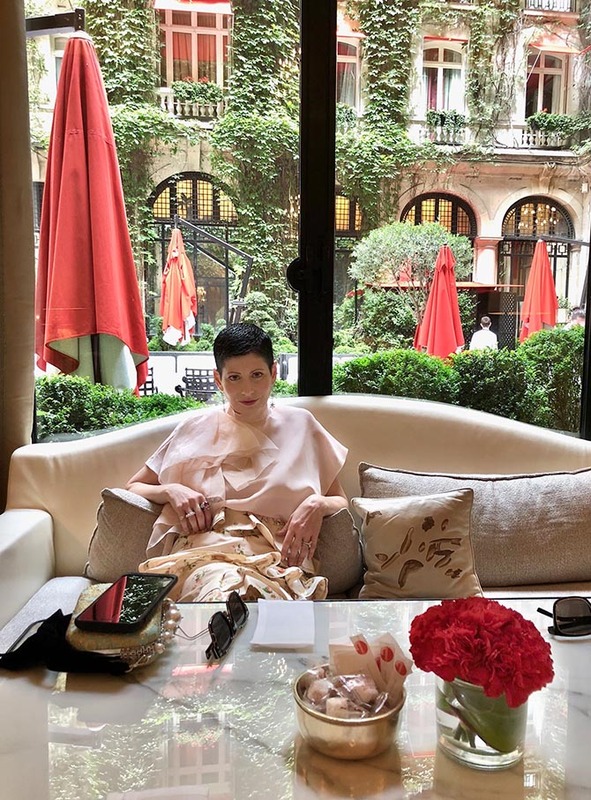 For a lunch in Paris with friends a L’Avenue, Lauren says the conversation usually circles around what everyone has been doing and what they look forward to seeing at the shows. 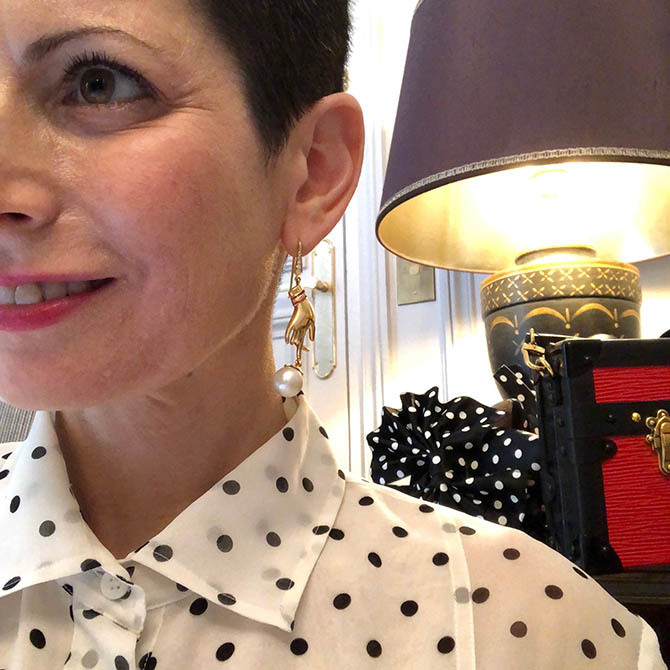 For lunch, Lauren explains how she coordinates her Dior with a natural pearl vintage brooch and earrings by Hanut Singh. 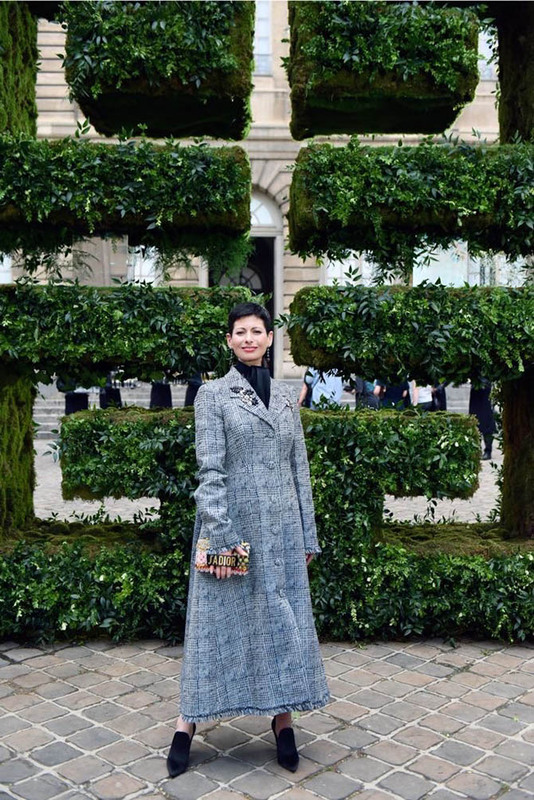 For the Givenchy 2018 Fall Haute Couture show Lauren wore an Erdem coat as a dress and Wendy Yue earrings. The look caused a sensation with photographers at the event. Lauren explains how she likes to wear coats as dresses and the one she put on from Erdem for the Givenchy show. For the Schiaparelli show, Lauren was once again pretty in pink. Her dress is by Esme Vie and the jewels are her signature pieces from Kristen Farrell. A detail look at Lauren’s accessories and jewels for the Schiaparelli show. 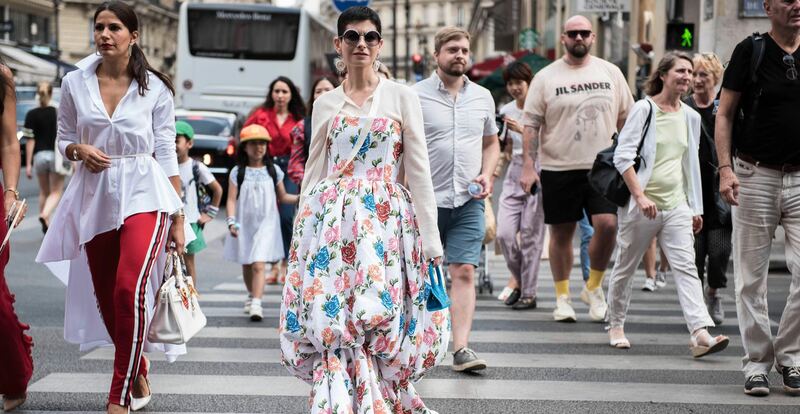 For the Georges Hobeika presentation near the Eiffel Tower, Lauren wore a Delpozo dress with a Miu Miu brocade bag, Gucci shoes and Wendy Yue earrings. Lauren reviews how to pack delicate jewelry for a journey in this video featuring her Wendy Yue jade earrings. When she says “bubble,” it’s jewelry shorthand for bubble wrap. The yellow lace dress from Rodarte is a look Lauren describes as Tudor style. She riffs on the theme with Kristen Farrell jewels that have a fairy tale vibe and adds a little edge with Dior accessories. Lauren talks about the fitting process for her Rodarte dress and how she styled her jewels and accessories in this video. One of Lauren’s most widely photographed looks for the Couture shows was her Giambattista Valli dress. 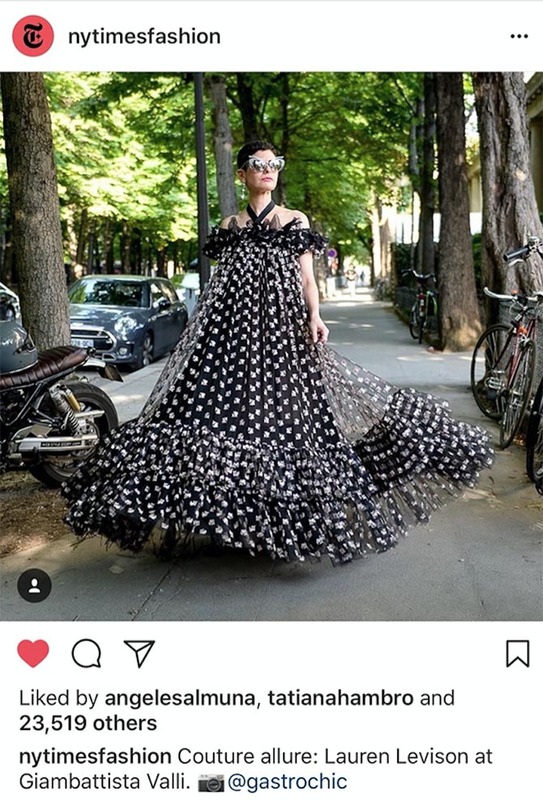 On the New York Times Fashion Instagram account the image above was far and away the most popular of the season. On average a photo on the account gets around 3,000 likes. Lauren’s picture has received almost eight times as many. In this video Lauren talks about the Giambattista Valli before wearing it and how she almost didn’t bring it to Couture because she had been photographed in it previously. For the Elie Saab show, Lauren wore a fabulous floral gown from Emilia Wickstead. She paired it with earrings from Hanut Singh. Lauren switched things up for the Elie Saab party and put on a sequin suit by Giambattista Valli. She accessorized the ensemble with her signature jewels and a Chanel bag. Lauren reviews her polka dot sequin suit and jewels in this video. In addition to all the shows, parties and lunches with friends there are fittings to attend during Couture week in Paris. 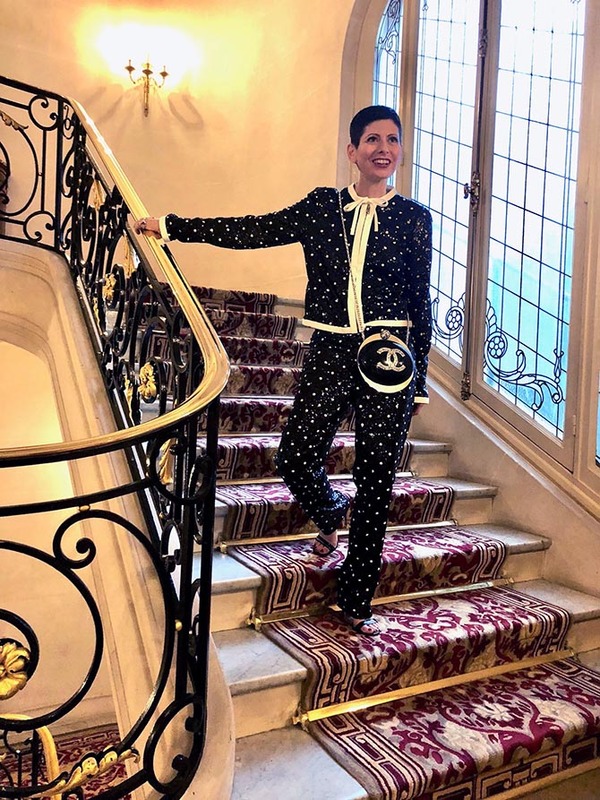 Lauren reviews her ensemble for Couture fittings and what its like to attend them in this video.